South Korean refiners have paid more than $2/b less for Russian crude oil than some of the flagship Middle Eastern grades received late last year, a simple reminder to the industry that short-haul barrels come much cheaper when freight rates rally. 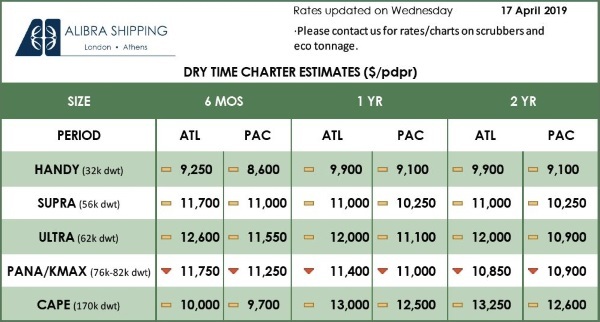 Within the Dubai benchmark-linked crude complex, Far East Russian grades including Sokol and ESPO Blend were among the most economical refinery feedstock procurement options for South Korean refiners during Q4 2018 as lofty Persian Gulf-North Asia VLCC freight rates had pushed final import costs for various Middle Eastern sour grades sharply higher. South Korean refiners paid an average outright price of $63.42/b for Russian crude oil imported in December 2018, lower than $66.03/b paid for the shipments from Iraq, its second biggest crude supplier, latest data from state-run Korea National Oil Corp. showed. This marked the first time South Korean end-users have paid less for Russian crude than Iraqi oil since August 2013, according to KNOC data. KNOC’s import cost figures include freight, insurance, tax and other administrative and port charges. Asia’s fourth biggest oil consumer also paid an average outright price of $68.67/b for crude cargoes received from the UAE in December, more than $5/b paid for the shipments from Russia in the same month. Shipments from Saudi Arabia in December was also 2 cents/b higher than the Russian barrels, KNOC data showed. South Korea has imported close to 9.2 million barrels of crude from Russia in Q4 with ESPO Blend, Sokol and Sakhalin Blend making the bulk of the shipments received during the period, with Urals Blend consisting around 15% of the total imports. Refinery sources in South Korea noted that Far East Russian grades typically command high premiums over Middle Eastern sour grades due largely to the former’s superior quality and it was rare to see the Russian cargoes arrive cheaper than the Persian Gulf barrels. “But obviously the big rally in VLCC rates can often push logistics costs sharply up and in this latest instance, lighter and sweeter Russian grades were actually cheaper [than heavier and sour Middle Eastern grades] to bring in,” a market research manager at Korea Petroleum Association based in Seoul said. The VLCC freight rates on the Persian Gulf-Northeast Asia routes have rallied to multi-year highs during Q4 as many Asian refiners tried to secure their crude supply volumes by lifting additional stems from the Middle East in a bid to ward off any crunch that could arise from the US’ sanctions on Iran. The Persian Gulf-South Korea VLCC rate was assessed at w98.5 on December 3, the highest Worldscale points level since w99.5 assessed on January 4, 2017, S&P Global Platts data showed. The benchmark Persian Gulf-China rate also jumped to w101 on December 3 last year, highest since w107.5 assessed on January 8, 2016. Far East Russian crude often appeals to Northeast Asian refiners when international freight rates trend higher due to the very short voyage and cheaper logistics costs. Industry sources noted that the typical voyage time from the Far East Russian port of Kozmino to Northeast Asia is less than four days versus 10-15 days from Southeast Asia and Oceania, and up to 30 days from the Persian Gulf ports. The short voyage makes it economically viable to import smaller Aframax cargoes of about 700,000 barrels of crude, rather than the regular Suezmax and VLCC cargoes that are typically more than 1 million barrels. 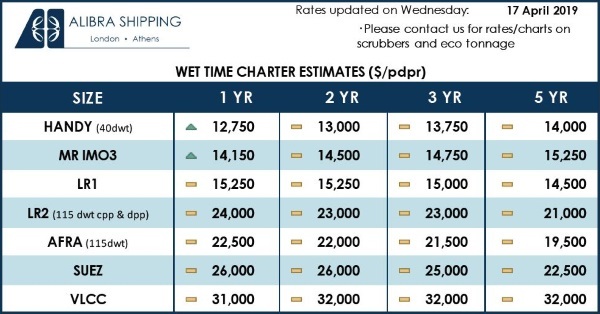 The VLCC freight rates on the Persian Gulf-Northeast Asia routes succumbed to a moderate downward correction since hitting the highs in late Q4, but the strong demand for VLCCs on the USGC-Asia route may provide plenty of support for the big dirty tanker market overall this year, South Korean shipping sources said. In addition, price differentials for Sokol, ESPO Blend and Sakhalin Blend took a sharp downturn since early November 2018 as demand from the Chinese independent refining sector has slowed amid port congestion and lower crude import quotas. China’s independent and other state-owned qualified refineries have received their first batch of crude import allocations totaling 84.06 million mt for 2019, down 26.6% from the same batch last year. The first-month ESPO Blend was assessed at a premium of $2.7/b to Platts Dubai Thursday, trending sharply lower since October 3 last year when it commanded a premium of $6.1/b, Platts data showed. “The light and heavier crude price spreads are narrowing across the globe [on the back of Iran and Venezuelan sanctions as well as the OPEC production cuts]. Lighter Far East Russian grades remain fairly attractive compared with regular medium and heavy sour Persian Gulf grades,” a feedstock procurement manager at SK Innovation said.